Nummular (means coin-shaped) eczema or nummular dermatitis or discoid eczema is a rare inflammatory skin form of eczema characterized with coin-shaped/discoid and itchy spots or patches on the skin. It usually appears after a skin injury including: burns, abrasions or insect bite. 1 or many patches may affect the skin that can last for weeks or months. The condition aims to be chronic, with reappearances and exacerbations that may last several years. The exact cause of nummular eczema isn’t known. However, the skin condition is most common among people with a history of asthma, allergies or atopic dermatitis. The prevalence of this condition is rare and is around 2 per 1,000 people. It is more prevalent in men than in women. It can be most commonly seen in males and females of around 50-65 years of age or in women of around 15-25 years of age. It is rare in children. Nummular eczema may never be healed completely. However, it can be treated with different lifestyle changes and medical treatment. Different from other types of eczemas, it is very rare and difficult to treat. How nummular eczema looks like? What are typical manifestations? Nummular eczema can be described as round or oval erythematous plaques. They are most often localized on extremities, particularly on the legs. However, they may also occur on the hands, trunk or feet. The face and scalp are usually not involved. The lesions begin to appear as erythematous or violaceous vesicles or papules. They then coalesce forming confluent plaques. Due to excoriation, erosions may appear over the lesions, and itch may become very intense. Initial lesions, especially vesicles, are often infected with staphylococci, producing yellowish crust. Intense infections, with the signs of cellulitis surrounding the plaques, need oral antibiotics treatment. After some days, plaques usually become dry, crusty and more violaceous, particularly when they are localized above the knee. The lesions become macules after some time, usually with brown hyperpigmentation caused by inflammation. It progressively lightens, and the pigment will probably never fade, particularly when they are below the knee. Plaques may be cleared in the center and be similar to tinea corporis. Intensity of the condition usually varies rather than being constant. The skin eruptions are very itchy; they may also burn or sting. Itching is always the most intensive at night. It has been showed that nummular eczema has seasonal difference in intensity. It is the worse during dry and cold weather and better in warm and humid conditions. There is no exact cause for defining true mechanism of nummular eczema developing, but there are some theories. One study found that elderly patients with nummular eczema had higher sensitivity to environmental aeroallergens compared to controls. Impaired cutaneous barrier in the case of nummular eczema may also cause increased vulnerability to allergic contact dermatitis to materials such as metals, soaps, and chemicals. The other study identified neurogenic factors that may lead to inflammation in both atopic dermatitis and nummular eczema by examining the correlation between mast cells and sensory nerves and recognizing the supply of neuropeptides compounds in the skin (epidermis and upper dermis) of patients with nummular eczema. It has been proposed that release of histamine and other inflammatory substances from mast cells may cause pruritus due to interaction with neural C-fibers. Furthermore, substance P and calcitonin gene-related peptide fibers were obviously increased in lesion samples when compared with nonlesional samples in patients with nummular eczema. These neuropeptides compounds may stimulate release of other cytokines and further promote inflammation. What are the possible causes of nummular eczema? Metals, including nickel and rarely mercury that can be found in dental fillings. Different type of eczema, for example atopic dermatitis or stasis dermatitis. Taken certain drugs such as isotretinoin or interferon. Isotretinoin, that is used to treat severe acne, may increase the risk for this skin problem. Interferon can cause as a side effect severe widespread nummular eczema. Bacterial swabs may confirm Staphylococcus aureus colonization or infection. Scrapings are usually taken for mycology, as nummular eczema can be misdiagnosed with tinea corporis or ringworm infection. Patch testing is sometimes needed in order to see if the contact allergy is responsible for this eczema. In most cases no specific allergy can be found. Tinea corporis. This condition usually has only a few vesicles that are raised narrow border and scale on the outside of the plaque. Other forms of dermatitis, including atopic dermatitis and asteatotic eczema are very similar but fortunately treatment is similar. Contact dermatitis may sometimes show a similar pattern. Lichen simplex chronicus often occurs on the lower extremities, neck, scalp, or on the scrotum. The main difference from nummular eczema is that it is lichenified or thickened by chronic scratching, and often has no clear border. Stasis dermatitis may occur concurrently on the lower extremities and venous stasis may lead to the development of both conditions. Plaques of psoriasis are often found elbows, knees and the scalp. The scale is usually thick and silver. What are the complications of nummular eczema? Lesions on the lower extremities may leave permanent brown macules. What should I do to reduce nummular eczema relapses? Use moisturizers in order to keep the skin well hydrated. Take cool or lukewarm bathes, avoid hot one. Do not use soap. Oils should be added to the bath. After a bath or shower, dry the skin and apply an emollient. A room humidifier may be helpful, especially those with central heating or air conditioning. Apply oil such as Alpha-Keri oil or Neutrogena body oil to the skin at the end of ones shower. Vaseline is also very helpful if not too oily. Do not take more than 2 baths or shower a day. Soap may irritate and dry off the skin, so keep it away from the eczema. When bathing reduce the use of soap to the face, genital area, armpits and feet. For soap, use Oil of Olay, Cetaphil, Dove or Basis. Avoid contact with rough clothing such as wool. Cotton clothes (100%) are recommended. When laundering, use no fabric softener, such as Kling or dryer sheets. Wash the clothes using dye free, fragrance free detergents with sign “All free” detergent. It is possible to find a treatment routine that controls nummular eczema, thus it is very important to avoid all potential materials that you are hypersensitive to. Patients should shower in cold water or take a cold/lukewarm bath 1-2 a day. Moisturizers or medicated topical preparations should be used to cover the water in the skin. If medication is applied on damp skin it helps seal it and aids penetration. Topical corticosteroids very efficiently reduce inflammation. Usually mild ones are recommendable but in severe disease, stronger corticosteroids may be required and in most severe cases, oral steroids are required. Mild topical corticosteroids such as hydrocortisone are safe for daily use if necessary. Strong corticosteroids should not be used during a period longer than 2 weeks, more than 2 times a day. Intralesional steroid injection is sometimes injected into one or two mostly persistent areas of discoid eczema. This treatment is unsuitable for multiple lesions. Ointments aim to be more effective than creams. Topical applications effects can be improved by occlusion or by applying ointment on wet skin that has been soaking and has not been dried. Tacrolimus and pimecrolimus can be used as an alternative for steroid-resistant cases. If secondary infection occurs then topical antibiotics such as flucloxacilin are needed. Oral antibiotics such as dicloxacillin, cephalexin, or erythromycin that are effective against staphylococci and streptococci infections are recommended. 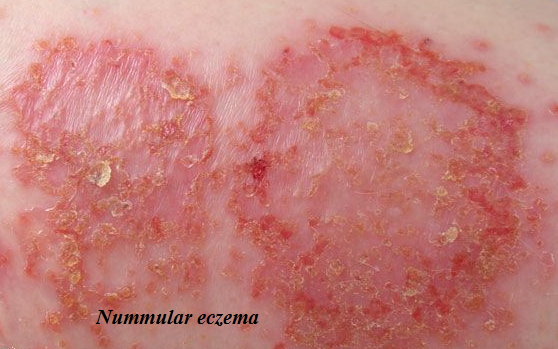 Severe pruritus that may be very unpleasant and cause sleep disturbance is typical for nummular eczema. Antihistamines may be very effective in that case. As the pruritus is often not directly associated with histamine, the sedative effect is more important than the antihistamine action so the older, 1st generation antihistamines are recommended. A higher dose at night will aid sleep. Tar preparations may be helpful for inflammation relief, particularly in older, thickened, scaly plaques. After the eruption has been resolved, patients should continue with aggressive hydration in order to reduce relapses especially in dry climates. Petroleum jelly can be also applied to damp skin after showering. Sunlight or phototherapy can be considered for intense chronic cases. Phototherapy several times weekly during the period of 6–12 weeks can reduce degree and severity of nummular eczema. UV radiation may relieve inflammatory activity within the skin but there is risk of heat worsening the pruritus and UV has its own disadvantages such as provoking carcinogenesis. Persistent and intensive nummular eczema can be treated with immunosuppressant drugs such as methotrexate, azathioprine or cyclosporine. Studies showed that children responded well to methotrexate therapy. An emollient or moisturizing cream or ointment is very important if the surface of the chronic patches is dry and scaly. These preparations should be applied to unaffected skin, especially if dryness is severe. The emollient should be continued even after the patches have cleared and the corticosteroid preparation has been discontinued. 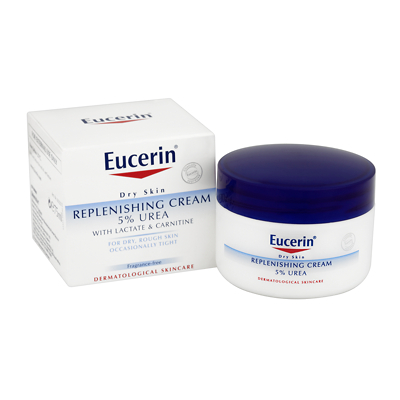 Emollient creams are essentially moisturizers that are very important for eczema treatment. The more you use emollients the less steroid creams or other aggressive products you will need. Emollients work by filling the gaps between the skin cells so they can fill with water and swell up again. Patients with eczema should use emollient cream very frequently, almost every hour if the skin is very dry, all over their body, even where the skin isn’t affected. Apply after bathing, while water is still trapped in the skin, for extra hydration. Emollients with a higher oil are better moisturizers but also greasy. Those with mild nummular eczema should try light emollients such as Oilatum lotion and E45. For moderate nummular eczema, more oily products should be used such as: Aveeno cream, E45 cream, DiproBase cream, Dexeryl and Oilatum. 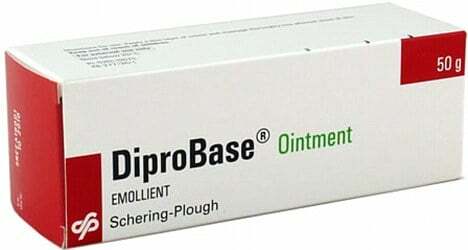 For severe eczema Hydromol ointment, Diprobase ointment, 50/50, are recommended. Urea absorbs water to the skin. There are some studies suggesting that urea creams are more effective than typical emollients, however urea products have not been examined well in children. However, it has to be known that when urea is applied on very dry skin it can irritate the skin so you might need to apply regular emollient cream first. Products you may try are: Balneum Plus, Balneum cream, Aquadrate, Calmurid and Eucerin urea cream.